This champagne set would make a great engagement or wedding gift. The champagne flutes have diamond cut detail and a large engraving area that can be personalised with any wording, logo or crest. 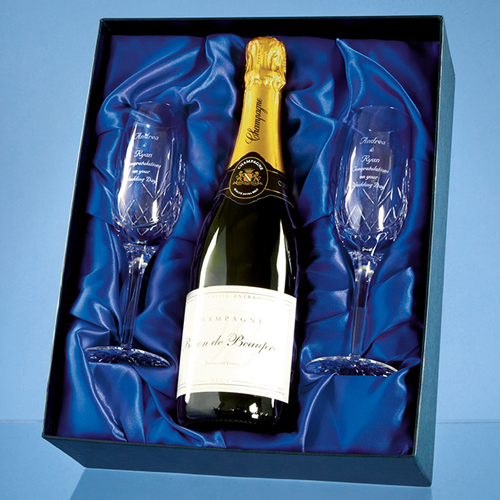 Along with the champagne flutes there is a 75cl bottle of Brut House Champagne, the set is presented in a satin lined presentation box to create a personalised gift that will be treasured and enjoyed.